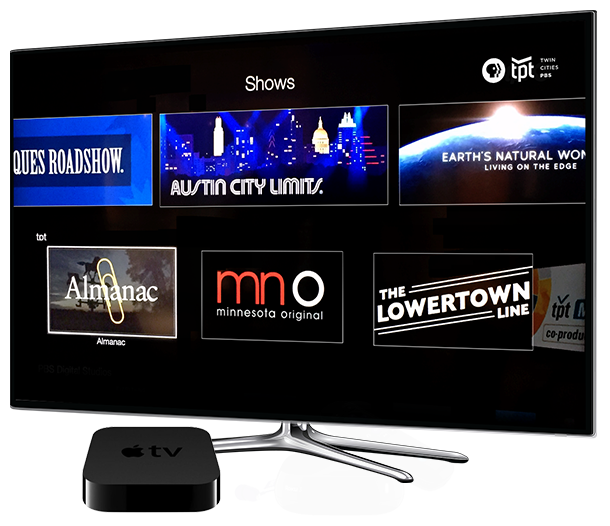 Watch your favorite TPT and PBS programs on your iPad or iPhone. Download the PBS app from iTunes and you’ll be on your way to watching MN Original, Almanac, Masterpiece or Antiques Roadshow wherever you want. Make sure to set TPT as your local station to get all your favorite local program! PBS and PBS KIDS are already on your Apple TV! 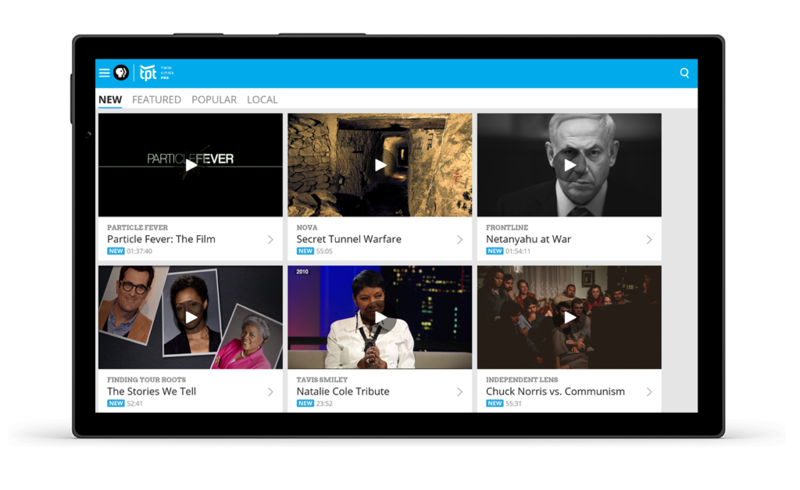 Stay informed on world and local events with PBS NewsHour and Almanac. Get swept away in the drama of Masterpiece. And enjoy musical performances from Austin City Limits, MN Original and The Lowertown Line. All these shows and more — completely free. 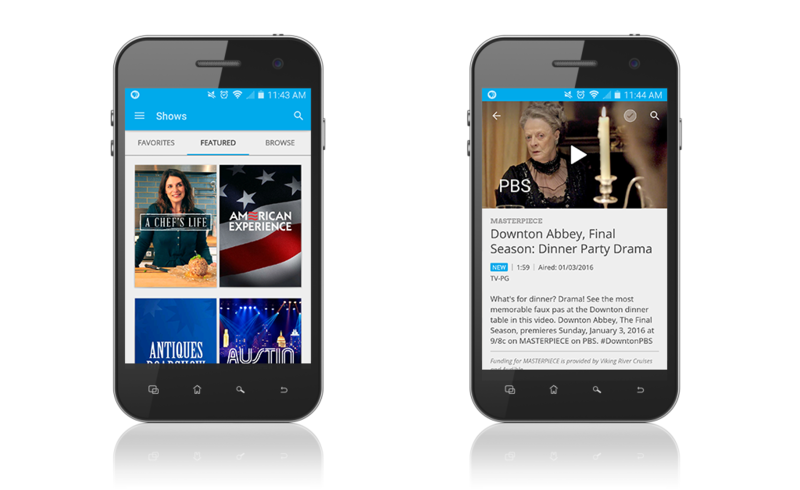 Enjoy hundreds of hours of your favorite TPT and PBS programming on your Android device. All in HD. Save your favorites to enjoy across any platform or device. Get swept away in the drama of Masterpiece. Find out what it really takes to run your own restaurant with A Chef’s Life. Soak in the best performing arts from across America and around the world with Great Performances. All these shows and more — available when you want. 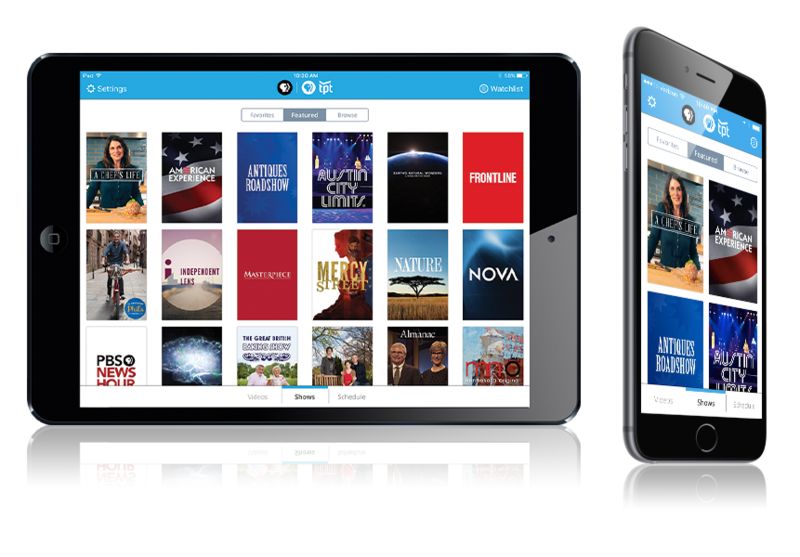 Select the PBS channel in the Play app store on your device. 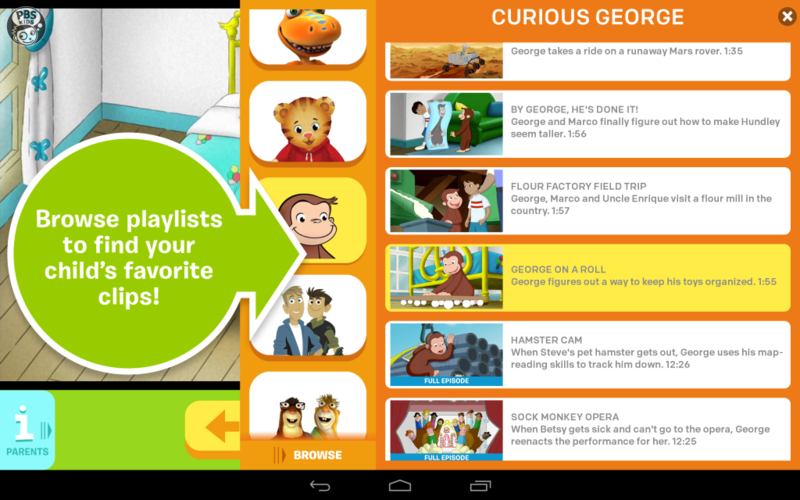 Watch videos from your favorite PBS KIDS television series anytime, anywhere (in the USA). 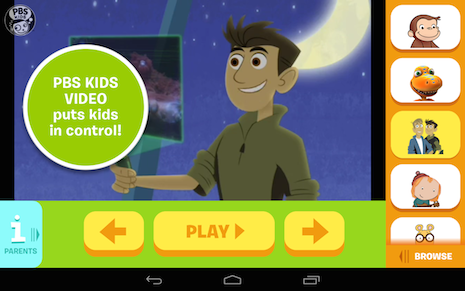 “PBS KIDS Video” features thousands of videos from top PBS KIDS television series, including Daniel Tiger’s Neighborhood, Wild Kratts, Odd Squad, Peg + Cat, The Cat in the Hat Knows a Lot About That!, Dinosaur Train, SUPER WHY! and more. Videos from your favorite TPT programs such as American Experience, Antiques Roadshow, Frontline, Masterpiece, Nature, NOVA, Super Why!, Curious George, and Daniel Tiger’s Neighborhood, as well as local favorites such as Almanac, Minnesota Original and great TPT productions like Lost Twin Cities are now available via the Roku streaming platform. Search for PBS and select TPT as your local station. The new and free PBS KIDS channel for Roku features thousands of videos from over a dozen top PBS KIDS series, including Curious George, The Cat in the Hat Knows a Lot About That!, Daniel Tiger’s Neighborhood, Dinosaur Train, Super WHY!, Wild Kratts, and Sesame Street. 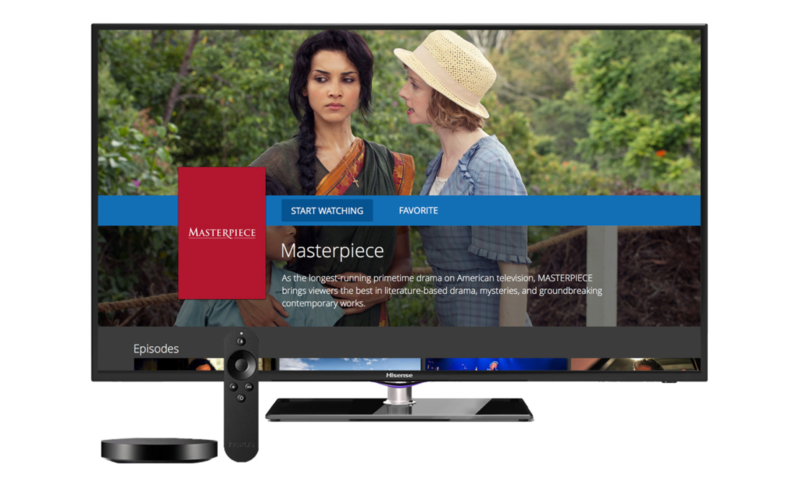 Now watch your favorite PBS programs on the Kindle or new Fire Stick devices. Get access to PBS content including local shows like Almanac and MN Original. To localize the PBS app to TPT, just enter your zip code after you download. 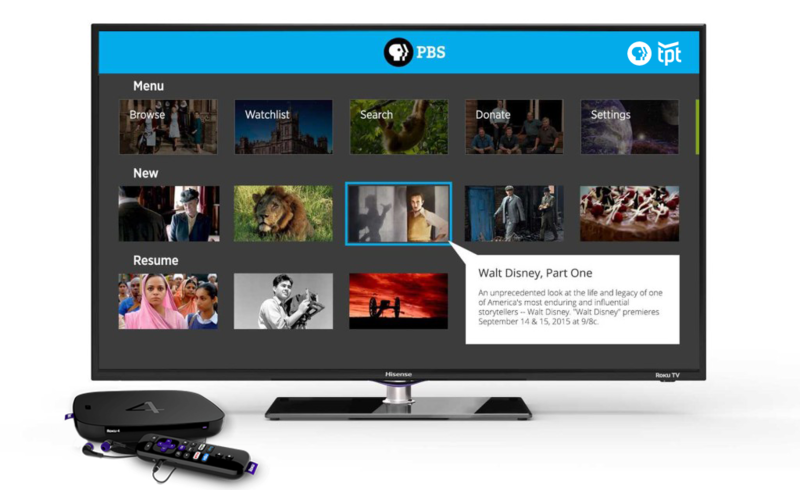 PBS for Windows 10 is here. 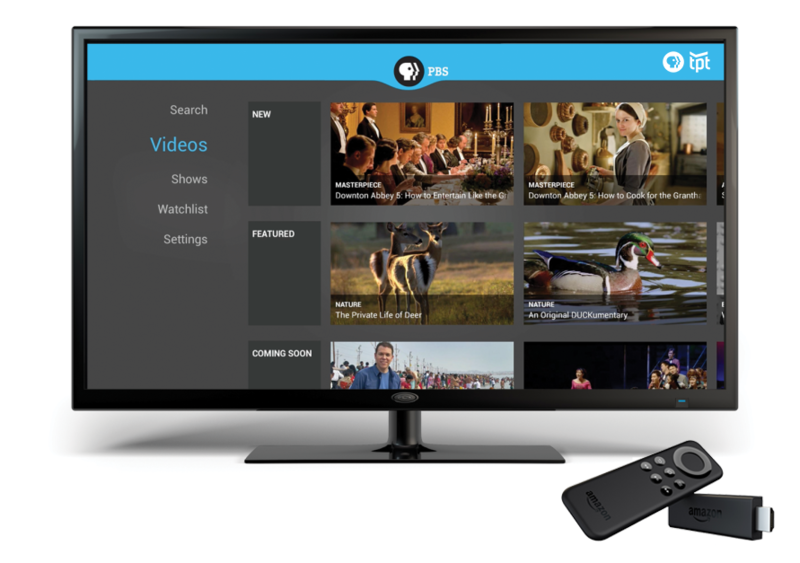 Now you can enjoy the most popular shows from TPT and PBS anywhere, anytime. Explore a rich and varied selection of countless videos from both new TPT and PBS shows, and from the archives. 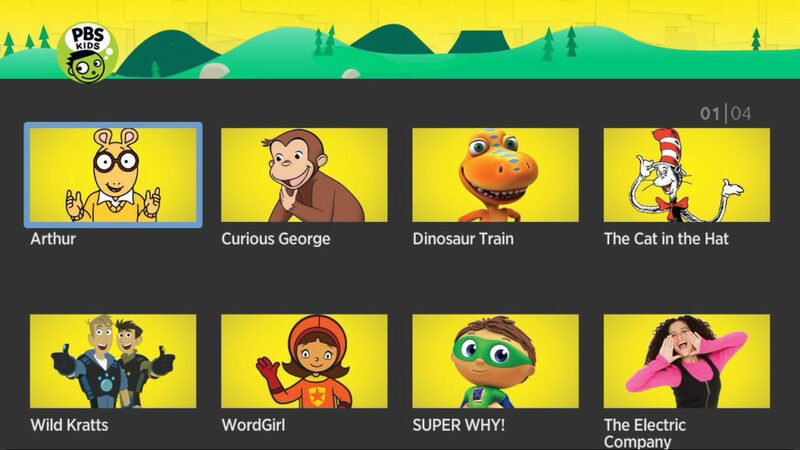 Gain access to thousands of videos from over a dozen top PBS KIDS series, including Curious George, The Cat in the Hat Knows a Lot About That!, Daniel Tiger’s Neighborhood, Dinosaur Train, Super WHY!, Wild Kratts, and Sesame Street.